Time for another great Game Time Recipe. A while ago my brother gave me some canned venison. I had it in my Pantry for a while trying to figure out what I should make with it. I had never eaten any venison that had been canned before so this was a first. I decided to try and make a shredded venison taco. I proceeded as follows. 1 jar of canned venison. 1 TBS Camp Dog Cajun seasoning,, add that to everything. Recipe: add a couple TBS of oil to a hot pan, then add canned venison. Stir a couple minutes until warm. Proceed to add the seasoning mix and a quarter cup of water. Stir seasoning mix in completely. Once seasoning is mixed in and meat is warm, heat your tortillas. 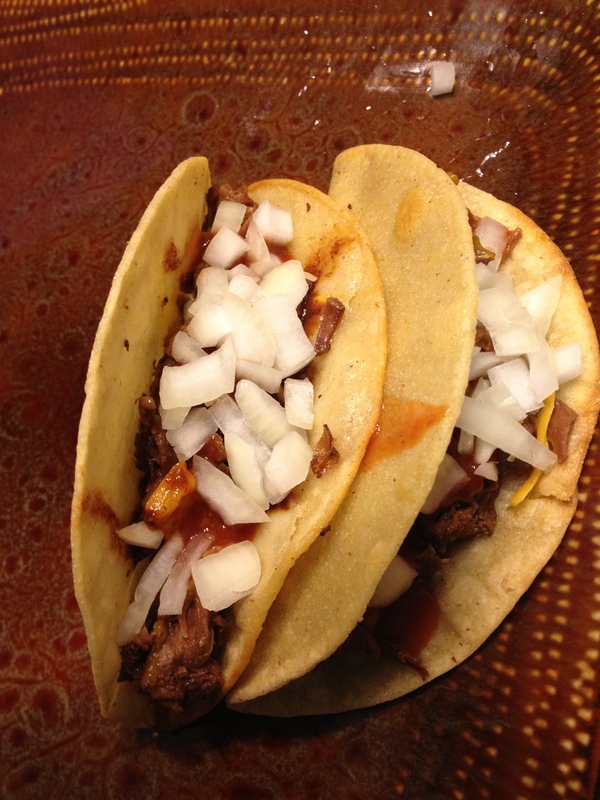 Add hot meat to tortilla and then top with onions, cheese, and sauce. These taco’s are great. More authentic like shredded Mexican beef. Note: If you like cooked onions instead of fresh cut, add them to oil a couple minutes before the venison. Try this out and let me know what you think. Send comments, make sure you subscrivbe to the right if you like my blog. Check out http://www.teamdirtoutdoors.com for more tips, recipes, and video’s. This entry was posted on June 4, 2015 at 1:07 pm and is filed under 6or7, antlers, archery, deer, fishing, fleece, g5, g5 quiver, guns, Hunting, outdoors, recipe, reviews, Ruttin' Review, sheds, sportsman, team dirt, vertigo with tags 6or7, antler, antler king, archery, bear, bible verse, bows, chili, deer, duck, fishing, g5, hoyt, hunting, hunting scripture, mossy oak, outdoors. You can follow any responses to this entry through the RSS 2.0 feed. You can leave a response, or trackback from your own site.